Damaging pests and diseases are lurking in far too many fields, ready to rob soybeans of their maximum yield potential. Golden Harvest soybean seeds combine advanced genetics with the latest traits and technologies to protect against many of today’s toughest threats. With its portfolio of performance-class varieties ranging in Relative Maturity from 0.6 to 4.8, you’ll find new options to help you make sure your season pays off. See our soybean varieties in action at our Golden Harvest Agronomy in Action sites. Schedule a visit to the site nearest you to see how local pest pressure is impacting different varieties and get advice from local representatives and agronomists who are digging deep to uncover the best management practices for your fields. 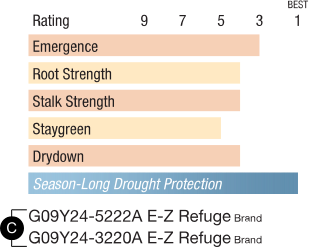 Soybean Brand: Ratings are based on field observations collected by Syngenta from multiple locations over multiple years. They represent comparisons with company products only. RM: 3.0: Specific relative maturity for this variety. 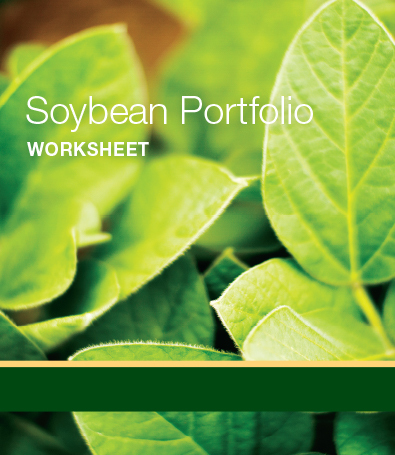 Download your local seed guide to find the soybean varieties best suited for your area. Find crop protection and seed treatment options to help you get the most out of your Golden Harvest soybeans. 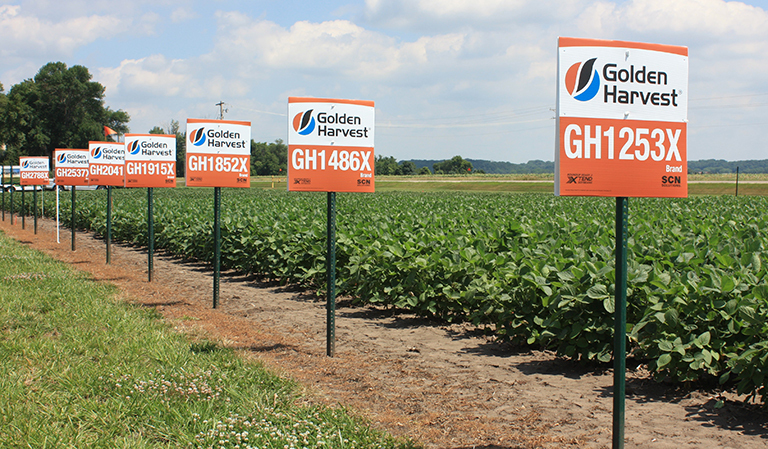 Check out herbicide trait and tolerance ratings for specific Golden Harvest soybeans. Making smart decisions now is crucial to harvest success down the road. When planning for next season, consider the agronomic challenges you faced and choose varieties with the best genetics and traits to maximize performance in your fields. 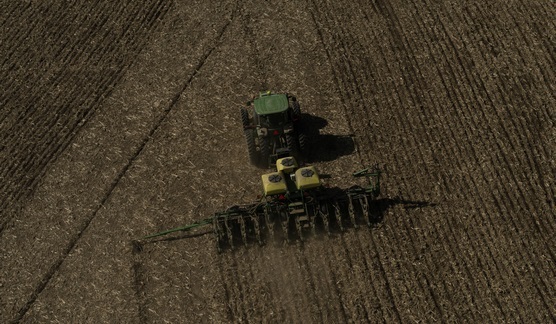 Use our agronomic resources as you finalize your variety selections and prepare for planting. Seeing our soybean varieties reach their maximum yield potential at harvest is always the end game. The first step toward that goal is making sure our genetics are protected before they reach the planter. Our advanced soybean seed treatments offer various options to help you protect against yield-reducing seed- and soil-borne diseases, and early-season insects.